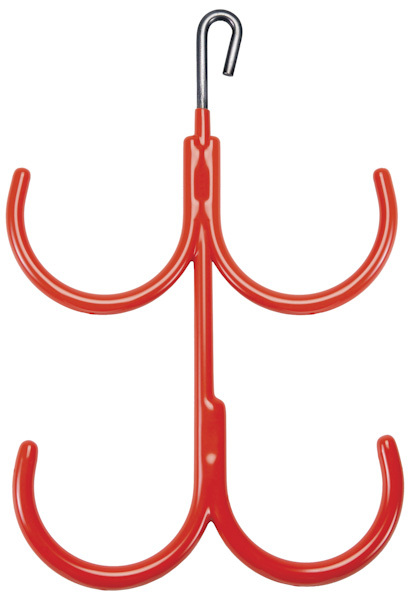 CAB’s versatile 3-carrier hanger with 3″ (76mm) diameter carriers is made from strong 1/4″ (6.4mm) diameter round wire. Featuring top spiral loop for secure attachment to plates, mesh or structure. Packaged 50/box. Designed to carry larger loads. Made from strong 1/2″ (13mm) diameter round stock to carry heavier loads. 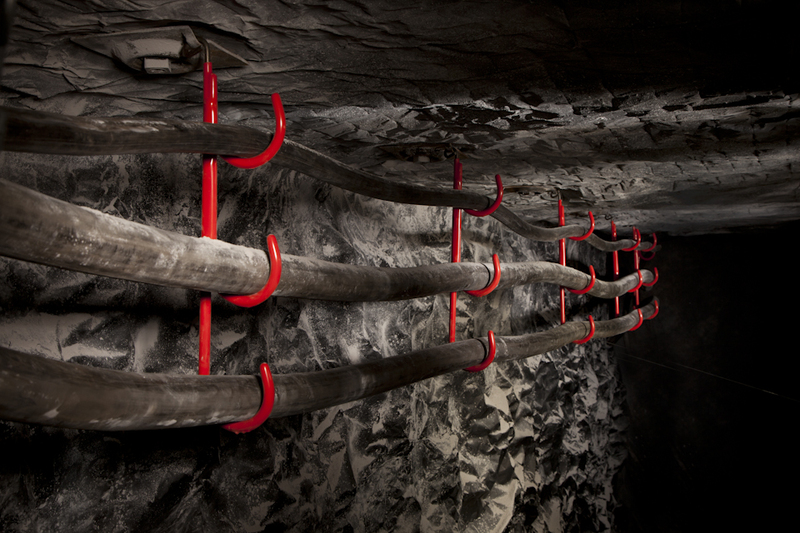 CAB 5653 is a 5-carrier hanger designed to handle heavy pipes, hoses and cables. Features three 3” (76mm) diameter and two 4” (102mm) diameter carriers with 2” (51mm) diameter top loop. Custom styles available. 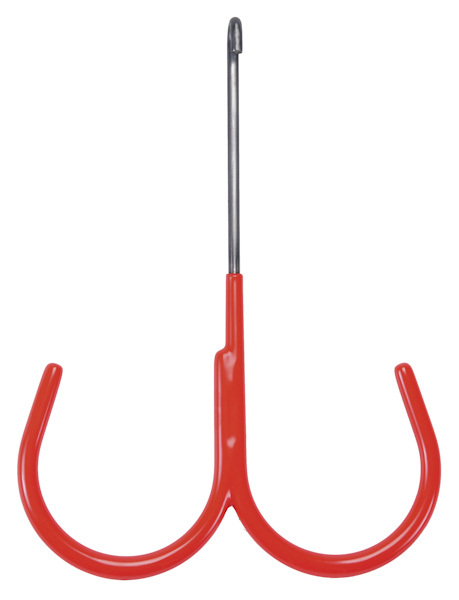 Heavy duty hangers made from strong 3/8″ (10mm) diameter round stock with a 1/2″ (13mm) diameter top loop. Bottom carriers are 5″ (127mm) diameter, heavily coated with high dielectric grade plastisol for added safety and protection. Custom sizes available for high roof areas. Also available with swivel top hook for faster installation. 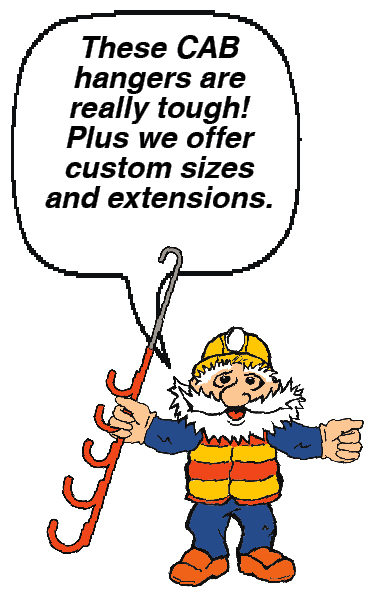 Designed for all types of heavy duty hanging applications for pipe and cables. 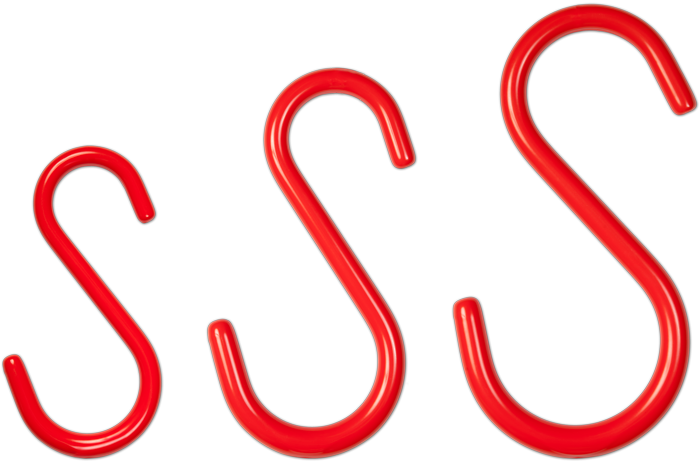 Manufactured from strong 1/2″ (13mm) diameter round stock with heavy plastisol coating over 100% of the surface. Large capacity 4-1/2″ (114mm) diameter bottom carrier and 2-1/4″ (57mm) top loop.